A senior Russian expert says India can find a way around the sanctions. U.S. sanctions against Russian arms manufacturers are unlikely to affect weapons contracts that were concluded between Moscow and New Delhi, Ruslan Pukhov, director of the Centre for Analysis of Strategies and Technologies (CAST), told TASS on Mar. 9. The final decision will be taken by the top leadership of India, Pukhov added. On Mar. 2 The Economic Times reported that the agreements between Russia and India for the supply of Project 11356 frigates and S-400 anti-aircraft missile systems were under threat due to U.S. sanctions. The article notes that any foreign supplier of military equipment must obtain a guarantee of an Indian bank to have the opportunity to participate in the procurement process. U.S. sanctions in force against the Russian United shipbuilding Corporation and its subsidiaries, and the Almaz-Antey concern prevent Indian banks from giving these guarantees. India fears that the U.S. may impose sanctions on Indian banks that work with the Russian arms manufacturers, Pukhov said, adding that if there was political will, New Delhi could allow the transactions to take place using parallel procedures. Indian Ambassador to Russia Pankaj Saran told RIA Novosti on Mar. 7 that India would continue to execute the contracts it signed with Russia and that U.S. sanctions would not affect the implementation of these agreements. He added that India did not recognize unilateral sanctions. 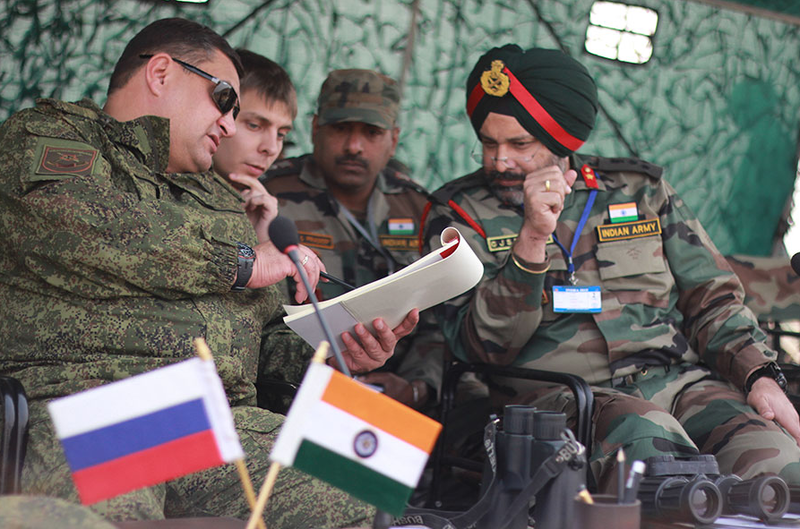 Russia-India cooperation is self-sufficient and growing in all directions, Saran said. An intergovernmental agreement on the sale of the S-400 was signed in October 2016 at the 17th India-Russia summit between President Vladimir Putin and Indian Prime Minister Narendra Modi. At the summit in Goa, Russia also agreed to sell four Project 11356 frigates, two of which are to be made in India.